Tuesday afternoon, the House Judiciary Committee unanimously approved House Bill 71, legislation proposed by Rep. Sarah Maestas Barnes, R-Albuquerque, to close a loophole in the current law that prevents officers from procuring warrants for blood tests in most DWI cases. 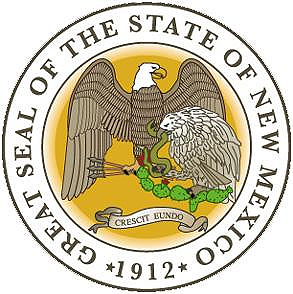 The bill is co-sponsored by Rep. Joanne Ferrary, D-Las Cruces, and Sen. Daniel Ivey-Soto, D-Albuquerque. HB 71 allows law enforcement officers to obtain warrants for blood tests on individuals suspected of driving under the influence, including misdemeanor DWI offenses. Currently, officers can only obtain warrants for blood tests in DWI incidents involving felonies, great bodily injury, or death. According to testimony offered by the New Mexico State Police, New Mexico is the only state that does not allow officers to obtain warrants for DWI blood tests in misdemeanor cases. Most DWI offenses are misdemeanors. The bill is especially important to detect if a person is driving under the influence of narcotics. The bill is supported by the New Mexico State Police Department, the New Mexico Department of Transportation, the New Mexico District Attorneys Association, the Greater Albuquerque Chamber of Commerce, and the New Mexico Association of Chiefs of Police. Earlier in the afternoon. Rep. Maestas Barnes attended a special ceremony held in the State Capitol Rotunda to honor New Mexico State Police Officers Raymundo Luján and Toby LaFave for making over 100 DWI arrests in 2017. She commended their efforts to fight DWI and protect New Mexicans. HB 71 now moves to the House floor for consideration by the full chamber.